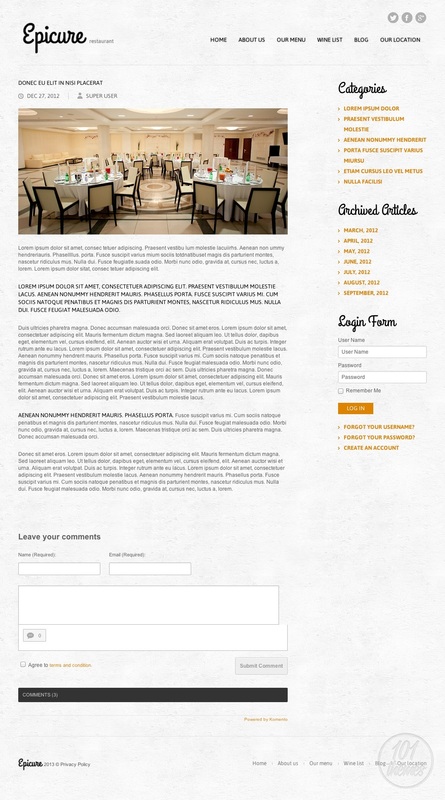 Epicure is a responsive restaurant template for Joomla. Di created the template and it is featured on Template Monster. 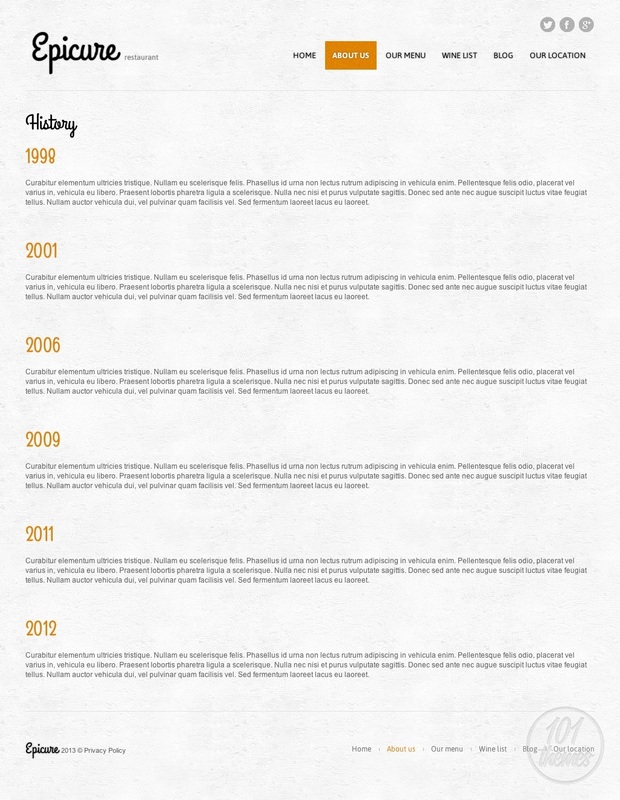 The bright, clean layout of this template will place your content in the spotlight. With a white background and orange details, nothing looks messy or out of order. The very top of the homepage features a wide slider where you can place the best looking photos of your delicacies and have your visitors hooked on them right away. The slider is not the only attention grabber here; you will also be able to feature your special offers right under it. These dishes will be presented in resized photos and by clicking each one of them your visitors will be taken to a page where they can read all about the specialty that caught their attention. 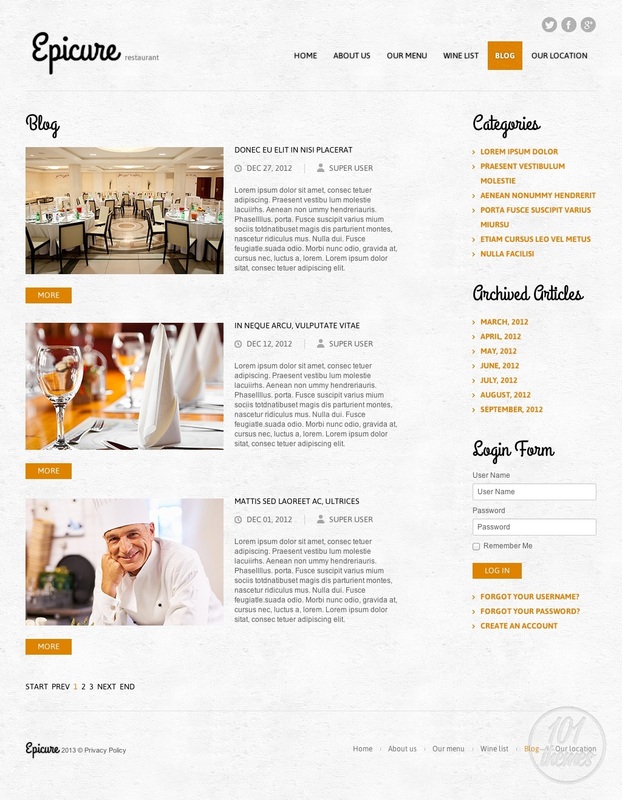 You will be able to feature a whole bunch of content on the homepage, including your events calendar, a nice welcoming note along with a photo attached, and your favorite recipes or dishes. Testimonials from satisfied customers can be presented here as well, and so can your events photos. Placing them here will let your guests see how much fun other people have at your restaurant and make them want to visit you ASAP. 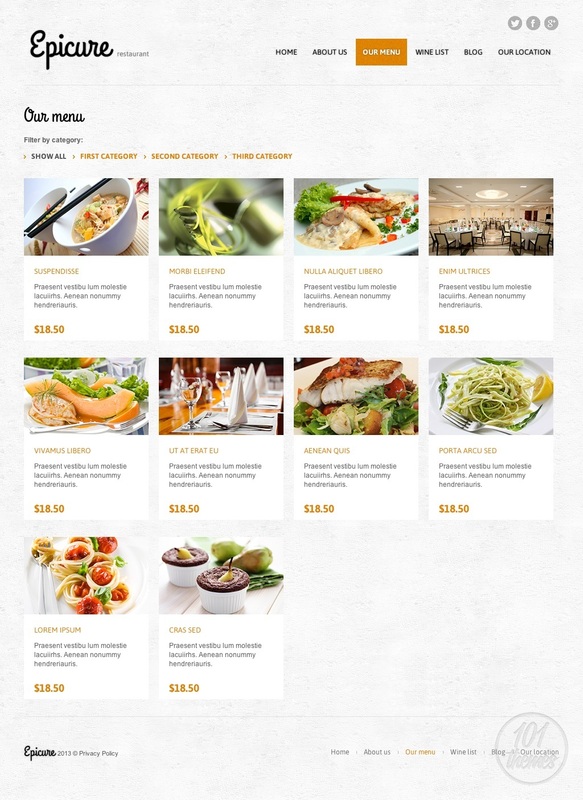 The menu looks very nice and you will be able to organize it neatly by placing your food into several categories. Each menu item will have its own photo, description and price. 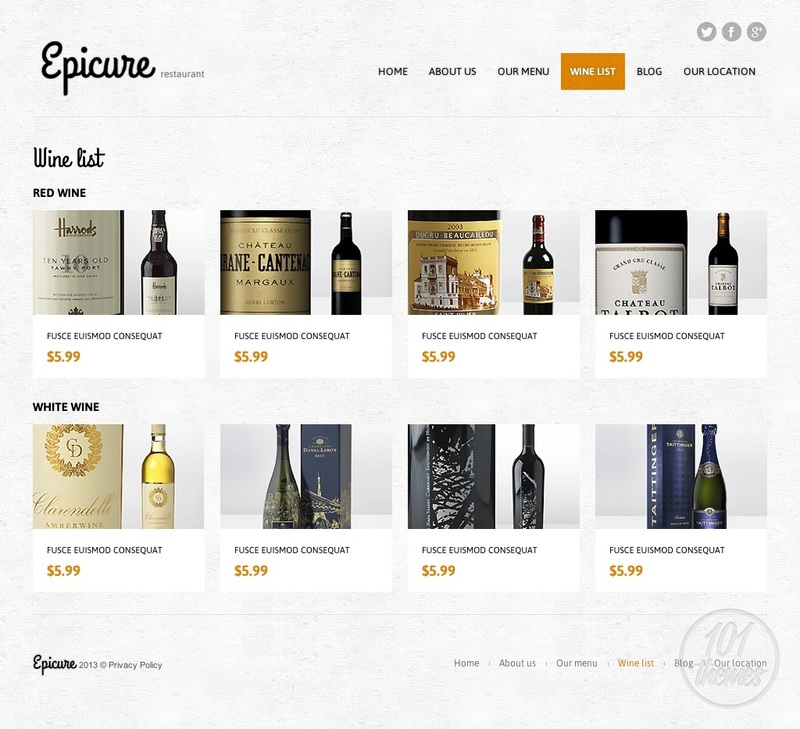 There is a separate section called wine list and you will be able to create your own very quickly and easily. A blog section was added for you to be able to post as much as you want and keep your customers regularly updated on any news at your restaurant. The last section shows the location of your restaurant on a map thanks to Google Maps integration, and there is also a nice contact form added. 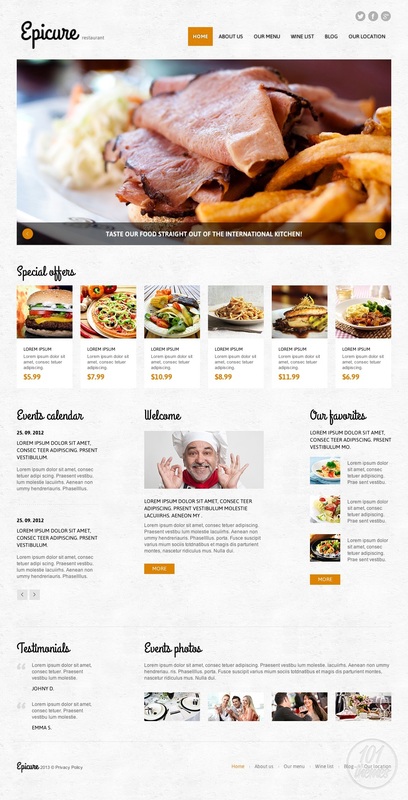 This responsive Joomla restaurant theme will automatically adapt to any screen size or resolution and it is going to look great even on smartphones and tablets.